Photo courtesy of TI DLP Products. Packaging is possibly the biggest problem facing MEMS. Many MEMS devices require special packaging. Sometimes, each application requires its own unique package. One example of a harsh condition needing a low-cost MEMS device is a tire pressure monitor inside a tire. It must resist any liquid it might come into contact with and withstand centripetal acceleration. It also cannot compromise the integrity of the tire. And finally it must be available at a low cost. 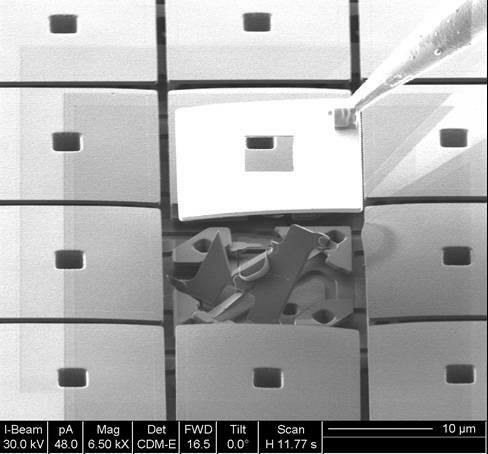 Other examples of packaging needs for MEMS include access to an external environment, a vacuum or special atmosphere, optical windows, and harsh media compatibility. 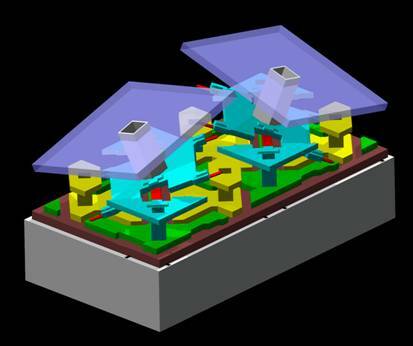 MEMS packaging also must take into account interfaces of structural elements, stability over temperature range, and testing needs. For many applications, the computer-aided design packages must comprehend unique technologies that take into account the mechanical properties, chemical properties, and biological properties as well as the electrical properties. Give our Online Training a try – for free. This month's topic is Microprocessor Troubleshooting. Microprocessors can be quite challenging to troubleshoot, especially if one cannot locate the defect using other rapid localization techniques like SDL, TIVA/OBIRCH, or LADA. Instead, one must revert to reconstructing signals on the microaddress bus and interpreting their behavior. While this technique requires knowledge of the processor instruction set, its layout, and its design, it is a standard technique that can be used on virtually any microprocessor. To view the AMFA website at http://www.amfaworkshop.org/. Christopher Henderson, President of Semitracks, Inc., will be presenting a paper at this conference.